REMEMBER CHOOSE ONLY ONE CASE STUDY!!! Case Study Question #1: Following the assignment protocols -The paper should be no less than 2 double-spaced pages and no longer than 3 in length. List your references on a separate page, have 1” margins and cite your sources in APA style. Use a 12-point font (Times New Roman, or Arial), and not in bold font. Case Study #1 Scenario: You have been hired as a new chief executive officer (CEO) for a 320-bed acute care hospital with outpatient centers. The previous CEO resigned under questionable circumstances, and according to the governing board (GB) members, the facility suffers from low employee morale and several departmental managers have recently quit. The GB members have further explained that the previous CEO was an autocrat who often publicly berated employees. This, in turn, caused employees’ to mistrust hospital administration, which spilled over into the provision of poor healthcare services. Some GB members told how the situation has gotten so bad that they had overheard several people in the community recommending residents obtain health services from a competitor’s hospital 30 miles away and, in fact, visits to the facility’s outpatient centers has been steadily decreasing. To correct this situation, the GB members want you to promote a culture of continuous quality improvement and customer service within the institution in order to return public trust, the good will and high morale of the employees, and regain respect from residents in the community. To begin this task, you realize that you must educate your employees in the philosophy of quality improvement, and you believe it is best to begin by selecting a particular quality pioneer to begin your initiative. Of the quality pioneers you have studied (e.g., Deming, Juran, Crosby, Joiner, Ishikawa), and given the fact that you want to promote an environment and culture of change based on CQI principles, select one pioneer to model or frame your institutional initiative. Giving specifics examples, explain why you chose this particular pioneer to teach the CQI philosophy to your organization. Feel free to use additional resources outside of the assigned reading to research the topic, but please cite your sources using APA style. 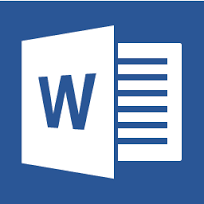 Case Study Question #2: Following the assignment protocols -The paper should be no less than 2 double-spaced pages and no longer than 3 in length. List your references on a separate page, have 1” margins and cite your sources in APA style. Use a 12-point font (Times New Roman, or Arial), and not in bold font. Patients have an incorrect location in the computer system, and therefore, cannot be located by family and visitors, as well as employees providing ancillary services (e.g., therapists, lab technicians). The Dietary Department delivers meals to the wrong floor/unit. By the time the patient is correctly located, the meal is received cold. The Pharmacy Department routes medicines to the wrong patient floor/unit. The Transcription Department sends reports (dictated by the physicians and transcribed by the department) to the wrong floor/unit. Departmental activity (relating to the budget) reports are compromised, which results in departments being incorrectly credited or not credited for work and services provided. As the CQI project chair, you have decided to use the PDSA method to direct your QI initiative; however, describe what team members you will enroll to assist you in this project, and explain why you have chosen these particular individuals. Using the data above, describe at least two CQI tools that will you use to present your data and highlight the issues at your first team meeting in order for your team members to understand the extent and focus of the problem?